Great Harvest Bread has announced it will offer its Honey Bunnies for Easter again this year. 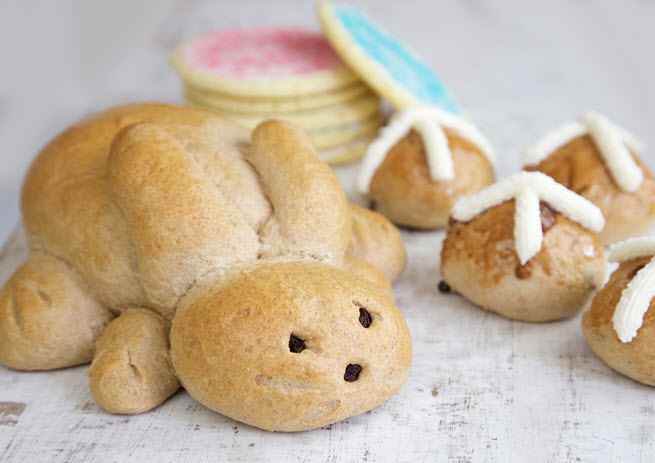 The seasonal Easter item is a bread bunny handcrafted by artisan bakers. It is available at participating Great Harvest bakery-cafe locations. The Honey Bunnies are made without additives, preservatives or conditioners. There are five ingredients in the bunny-shaped bread creation. They include fresh ground whole-wheat flour, honey, yeast, water and salt. Mike Ferretti, CEO of Great Harvest Bread, says in a statement, "Honey Bunnies are unique to Great Harvest and one of our favorite seasonal items on our menu. We take special amounts of time out of each day to create these bunnies with precision and make them a perfect, delicious addition to Easter lunches and dinners all over the country." Great Harvest also offers Hot Cross Buns and Virginia rolls for Easter at some of its locations. The franchise is based in Dillon, MT and has location across the U.S.